When it comes to aircraft, cargo haulers rarely get the limelight, but back in the late 1970s DeHavilland Canada managed to produce a record-breaking cargo classic, the DHC5 Buffalo. Working as an airframe mechanic for DeHavilland in Test Flight, during that time proved to be an interesting and challenging job. 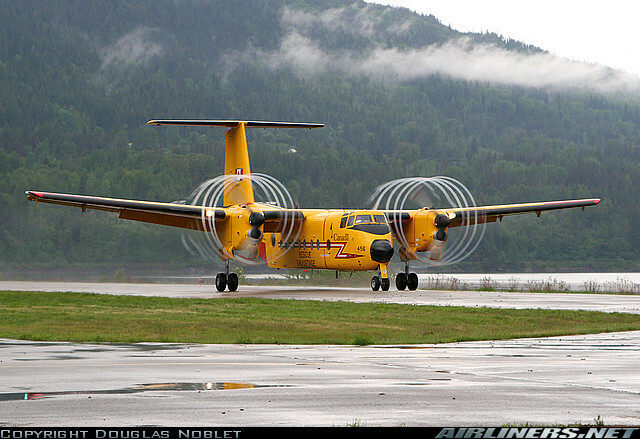 The company was producing three aircraft, the Twin Otter, the Dash 7, and the Buffalo. Essentially our job was to sort out the bugs after final assembly. Test flights then generated additional snags that we worked away on until the aircraft was finally deemed ready for customer delivery. Usually the customers “delivery inspection” produced a second round of minor issues. Soon after those squaks were cured, the aircraft flew away. Some flew away faster than others. I recall one particular foreign country purchased six DHC5s and sent a small army of inspectors for the pre-delivery inspections. For weeks we opened panels and did their bidding, as they got increasingly picky about everything imaginable. We did our very best to satisfy them but they refused to accept the aircraft. Finally word came down from on high that a special flying demonstration was being planned. On the designated afternoon we all slipped out the side door of the hangar to watch the show. A Buffalo took off and did a series of spectacular maneuvers, low level tight figure eights, STOL (short) take-offs and landings, etc. 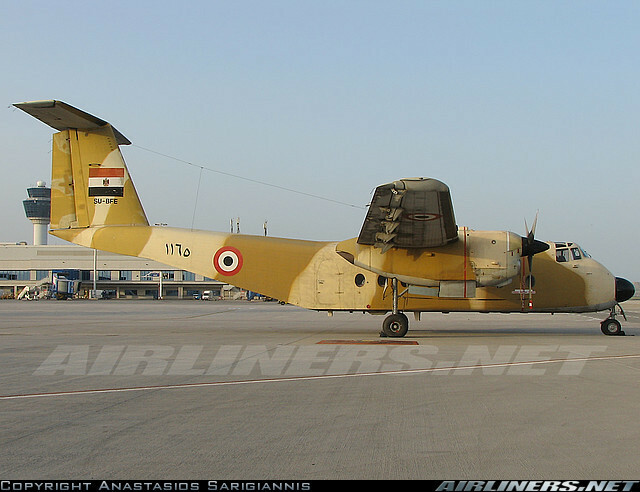 I remember being very impressed with what this “cargo” aircraft could do. Afterwards, the rumors circulated that with the demonstration completed the President of DeHavilland gave an ultimatum to the battalion of inspectors. He essentially said: If you can find another cargo aircraft that can do what you just witnessed for this price, buy them, otherwise take ours now! The inspectors and aircraft were gone within days. There is no doubt that the Buffalo was a very special airplane. Utilizing two General Electric T-64 turbo shaft engines, each rated at 3133 SHP, spinning 3 bladed Hamilton Standard full feathering, reverse pitch propellers; the aircraft’s performance exceeded all expectations. During initial test flights Captain Tom Appleton noted the aircraft’s exceptional ability for rapid climb, and asked for permission to take a shot at a “climb to height” record attempt. Appleton got the okay and on February 16, 1976 he was successful, breaking the old record previously held by the Lockheed Orion. From take off to touch down, a flight duration of only 17 minutes, he managed to break six “time to height” records. His time of 8 minutes 3.5 seconds to 29,500 feet shattered the Orion’s record by 2 minutes and 22 seconds. The Buffalo was designed specifically to improve on the already well established capabilities of the piston engine Caribou. A joint effort by the US military, Canadian Government and DeHavilland appeared to be a sound investment for the future. Ultimately due to a change in politics, the US orders fizzled out and only 121 DHC5s were produced. Despite spectacular, prototype trials, including using them in Vietnam it was decided to better utilize their American built Hercules instead. Fortunately other orders trickled in. The company even toyed with the idea of a civilian variant but felt that it might hurt sales of the then fledgling Dash 7. Interestingly some strange versions of the aircraft did slip out of the hangar doors, including one equipped with “hovercraft” landing gear. The ACLS (air cushioned landing system) used two additional P&W PT6 engines to produce the required airbag airflow. Nicknamed the Bell Bottomed Buffalo, due to Bell Aerospace involvement, the prototype testing was very successful but the project never saw production. Another unique pair of Buffalos left the factory with lead lined walls, deluxe corporate interiors and the rear cargo door bolted shut and retaining a permanently installed air conditioning system. Painted externally in traditional camouflage they were indistinguishable from their cargo counterparts! When my chance finally came for a ride on a test flight, I didn’t hesitate. My Buffalo joyride’s “corporate interior” consisted of military troop web seating. I couldn’t have cared less about my accommodations. I was just delighted to be going up. The pilot took off gently and retracted the landing gear. Just when I was about to feel sorry for myself, due to the lack of a STOL takeoff, he pulled back on the column and we climbed straight up. The altimeter spun around like a fan and soon my ears were popping from the altitude. We leveled off and flew out over lake Ontario where he immediately feathered the starboard propeller. The wing tip dropped dramatically and I thought I was done for. After spooling the engine back up we did a high speed touch and go at Pearson International, with a STOL pull out and wing over. After we touched down back at Downsview, I climbed out, ecstatic, nauseas and slightly weak in the knees. It’s still hard to believe the aircraft’s phenomenal performance. It was one heck of a joyride. Add to all this it’s ability to carry an 18,000 lb payload and it is very easy to recognize why it was so extraordinary. Designed and built in Canada, the DeHavilland Buffalo was and still is one of the world’s leading class cargo aircraft, a flying testament to the unique talent and ingenuity of DeHavilland and the Canadian aerospace industry. Midnight shift in the Line Maintenance Hangar was always a flurry of intense activity culminating with each airworthy aircraft departing for their designated departure gates. On most nights everything ran according to plan, but on this particular night Murphy’s Law was working overtime. 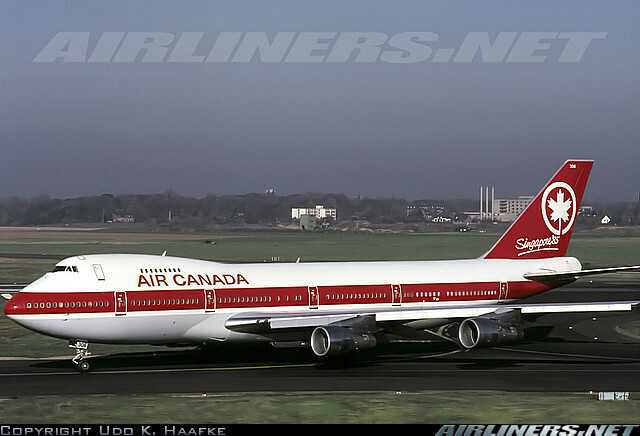 Beginning in the early 1970’s the Boeing 747 “Jumbo Jet” was the queen of Air Canada’s fleet. It was a robust, reliable airliner but like any aircraft in the business of commercial travel it still required its fair share of routine maintenance. It was a large complex aircraft with thousands of components and systems. You could work on it for a lifetime and still leave much of its inner workings unexplored. It was part of what made working on it particularly challenging and sometimes perhaps just a little intimidating. The chain of events that lead to the “Nose Down Jumbo” incident unfolded on a typical midnight shift. I was working dayshift so I arrived on scene only to witness the aftermath, but every maintenance employee soon knew all the intimate details of the whole unfortunate story. Apparently there was a landing gear “indication light” snag that had been worked on over the course of the shift. As morning approached it was time to test the repair. The Certified Aircraft Technician that was in charge came down from the flight deck to verify that the four main gear, and one nose gear pin were installed as per the procedure manual and all was well. He then returned to the flight deck to select the landing gear lever to the “Up” position. Meanwhile down on the hangar floor a maintenance tow-crew was preparing to pick up another Boeing 747 from the terminal and tow it back to the hangar. The equipment required to complete their task was a tow tractor, a 747 tow-bar, and a full set of landing gear pins. This is where the story takes its first turn for the worst. The tool crib attendant informed the lead tow mechanic that he had the four main gear pins but had NO nose gear pins left in stock. In an honest attempt to get his job done properly, knowing full well that it was unsafe to tow an aircraft without first installing the landing gear pins, the lead tow mechanic simply walked over to the nearest 747 in the hangar and robbed the nose gear pin that he required. The stage was now set, as the tow crew climbed into their tractor to depart, they were oblivious to the carnage unfolding behind them. Seconds later as the Certified Aircraft Technician on the 747 Flight Deck selected the landing gear lever up he and his colleagues were treated to a horrible sinking sensation followed by the metallic crunch of the still open nose gear doors being crushed by the mammoth aircrafts considerable weight. The first miracle was that no one was injured, and the second was that as the tail shot up, it was perfectly spaced between two hangar support beams, so the aircraft was spared any additional empennage damage. Still fixing the aircraft was far from cheap. Rumor had it that Boeing had to pull out the jigs in Seattle to manufacture a new set of landing gear doors costing the airline over 100 thousand dollars. Add to this the lost revenue having the big bird grounded for repairs and ultimately it was a very high price to pay for the lack of a $35 nose gear pin. If we call on our Human Factors Training, there is much to be learned from this incident. The chain of events leading up to this unfortunate situation can be identified and rectified for future reference. Communication- a simple headset with a maintenance person standing watch at the nose during the crucial stage of the procedure could have easily saved the day. Fatigue- perhaps the headset idea would have come up if the maintenance personnel weren’t tired and nearing the end of a busy midnight shift. Equipment- lack of sufficient numbers of nose gear pins could have been easily remedied providing an inexpensive safety net. Company Norms- it was a very common practice to “rob” landing gear pins from hangar aircraft for towing purposes knowing that they would be replaced before the robbed aircraft was towed again. Lack of Manpower/ Pressure- the aircraft could have been placed on jacks for the test procedure but this would have required considerably more personnel and additional time. Of course it is easy now to look back in hindsight and see the seemingly simple errors of our ways. The value of Human Factors training is to do exactly that, increasing our awareness so that we might better recognize and prevent those situations from occurring in the future. I firmly believe that it is an endeavor worthy of our pursuit. On a more personal note, I have always felt extreme empathy for the unfortunate mechanic that pulled the nose gear pin on that fateful night. It was such an innocent mistake, done in the honest interest of getting his assigned task completed. As mechanics we had all done the exact same thing on various occasions without incident. As we all know, Murphy’s Law forever remains a random phenomenon; “there but for the grace of God go I”. Stay safe my friends.